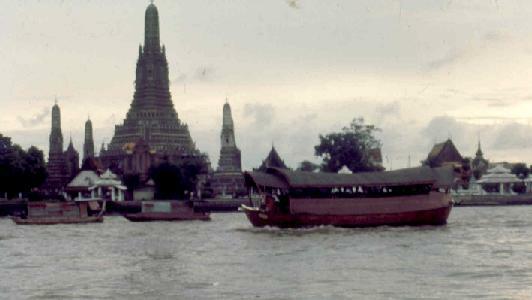 While living in NKP, Thailand we made several trips to Bangkok. This is a city full of ancient history, great food, and lots of fun. 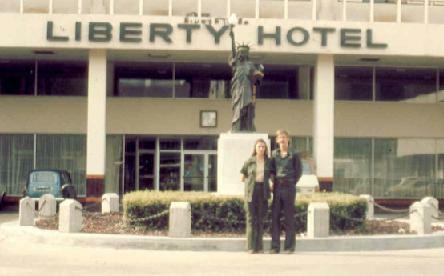 The Liberty Hotel was our place to stay while in Bangkok. 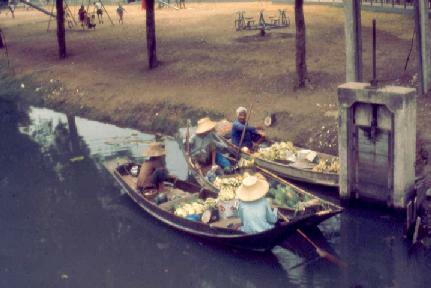 An outdoor market with the stores floating on the canals. 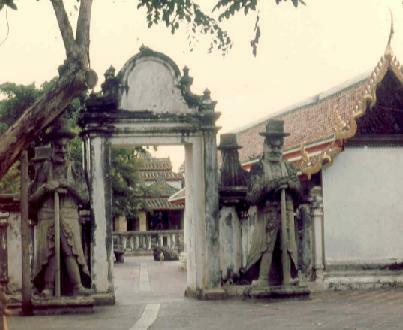 Impressive temple guards protect the entrance to the reclining Buddha. 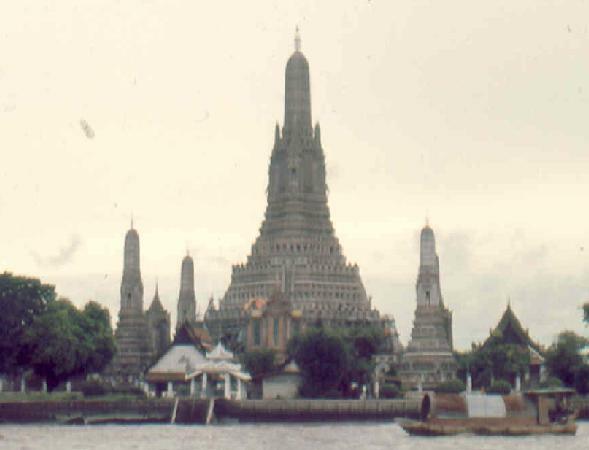 The Temple of Dawn (Wat Arun) on the Chao Phya River. The main tower of the Temple of Dawn is 200 feet tall.